← Should GGC’s online messaging cater to GGC Members only? Here’s our final question! Question #9 from our ‘What Can a Cookie Do?’ Treasure Hunt! 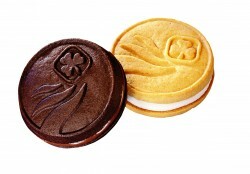 How many months would it take 12 Sparks (5-6 year olds) eating nonstop to consume every GGC Classic cookie estimated to be sold in 2011? Need a clue*? Clue #9: Either 17, 92, 68, 54, 29, 9, 48, or 36 months. Only 3 more questions to go! Did you miss a question? Submit your guesses for earlier questions here: #1, #2, #3, #4, #5, #6, #7, #8.
hmm 12 kids, and they eat cookies as fast as my kids do… but we must remember thats a whole heck of alot of cookies…. i’m going to say it will take them 36 months. belle’s not going to be impressed with me…. the 36 months posted under belle morgan’s name was really my answer… didn’t realize the computer saved her name instead of mine last time she was on here. Hmmmm….Sparks, huh?? My guess is 29 months!!! Wait a minute…that can’t be right…how about 17 months? ?